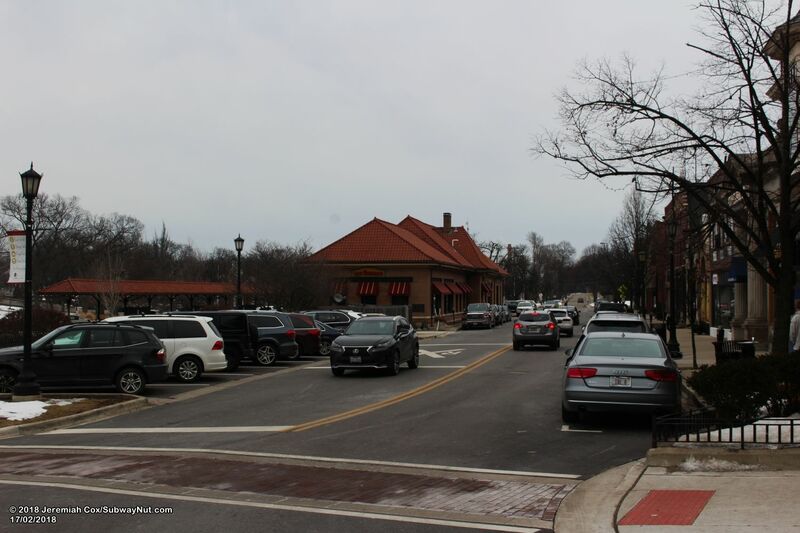 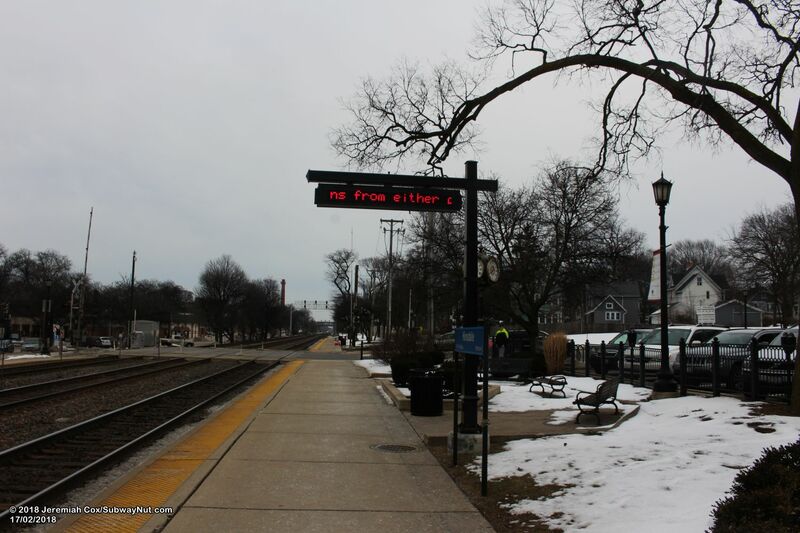 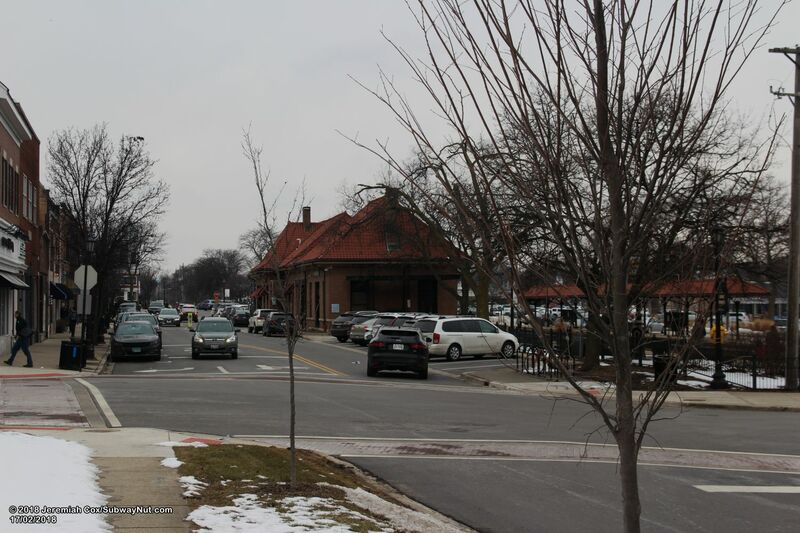 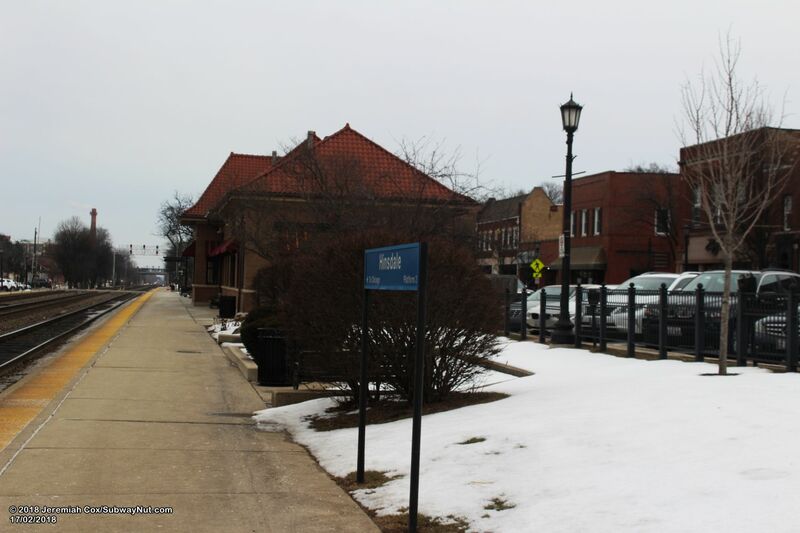 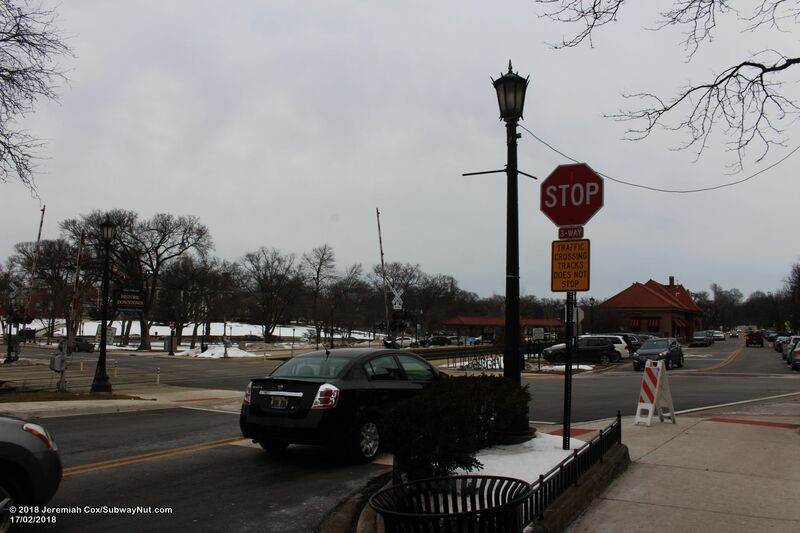 Hinsdale is the main station of 3 in the village of Hinsdale, the other two stations West Hinsdale and Highlands east and west of this station only receive limited weekday rush hour service. 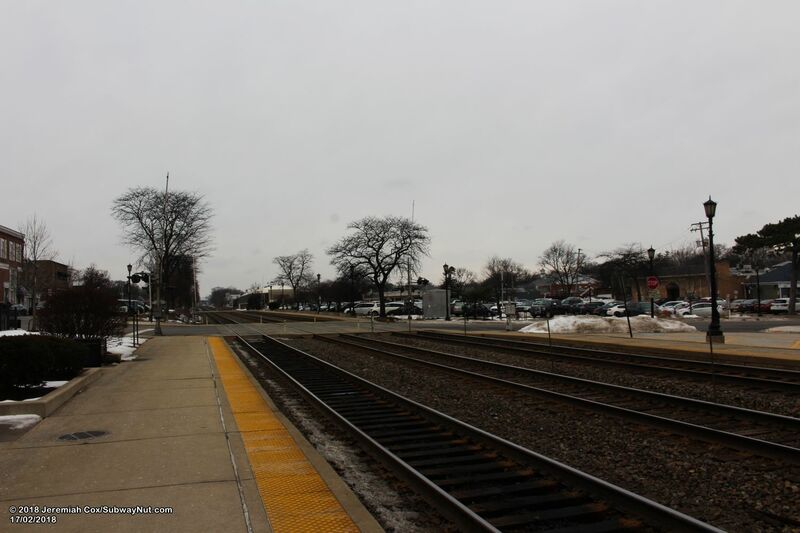 The station consists of a two slightly offset side platforms along the 3 track line. 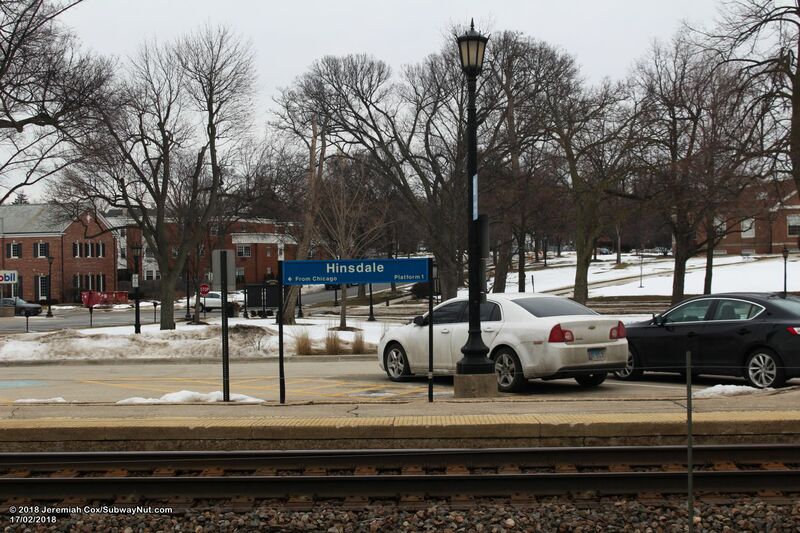 The core of the station platforms (where the depot is) are between the grade-crossings of Garfield Street and Washington Street. 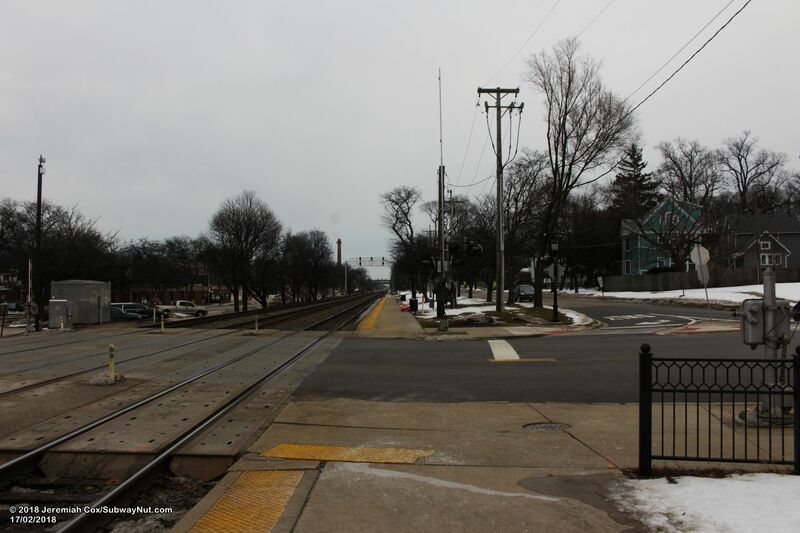 The inbound platform's extension is east of here, across Garfield Street, the westbound platform's extension is west of the core station area, across Washington Street (and stretching to the Lincoln Street grade-crossing). 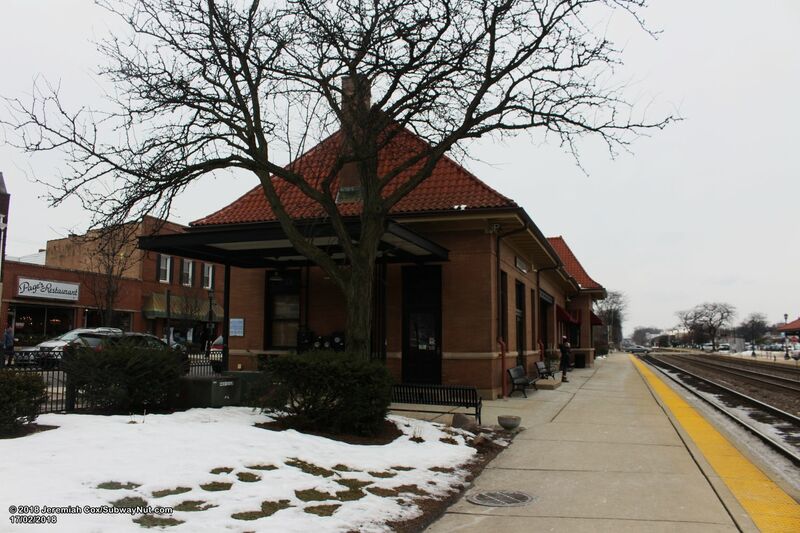 The Inbound platform contains a brick station house with a Spanish Tile roof constructed in 1899 which is on the National Register of Historic Places. 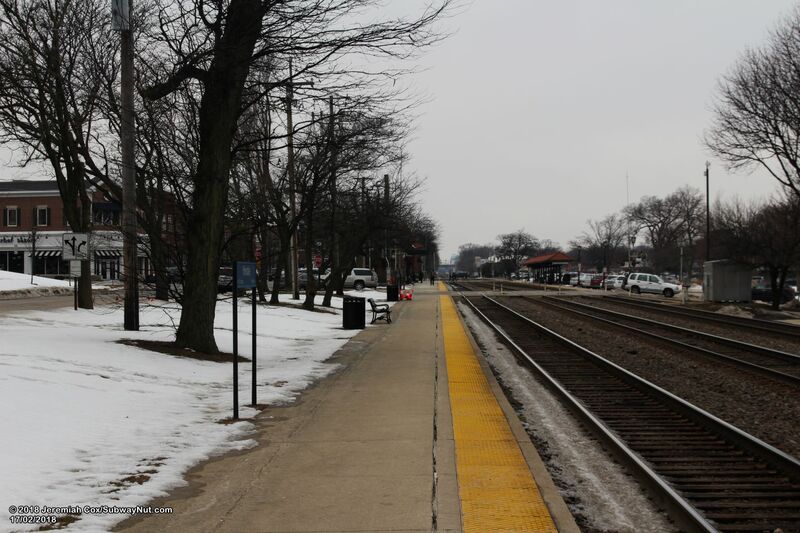 This station contains a waiting room (open 7 days a week) and ticket office open for one shift during Weekday Mornings in its western half. 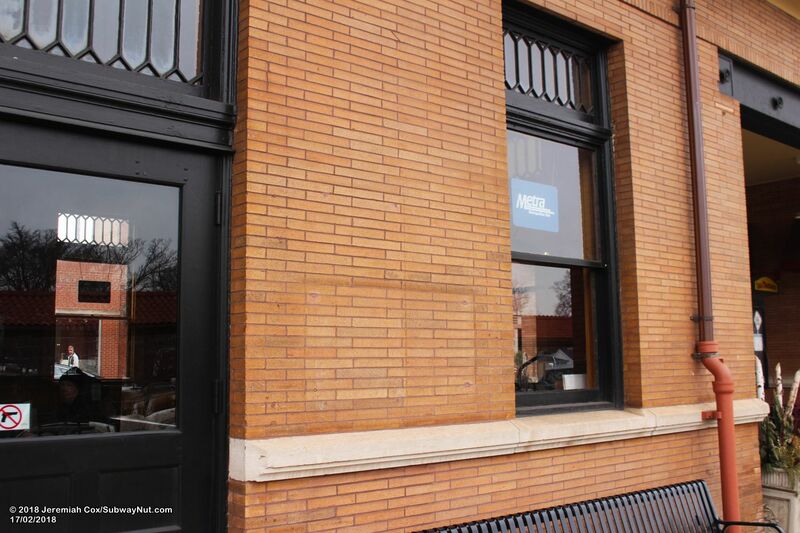 This waiting room has wooden benches. 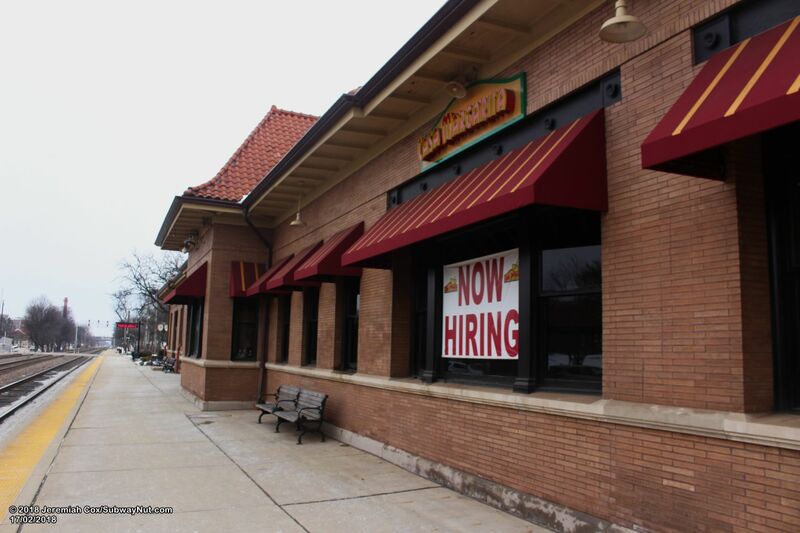 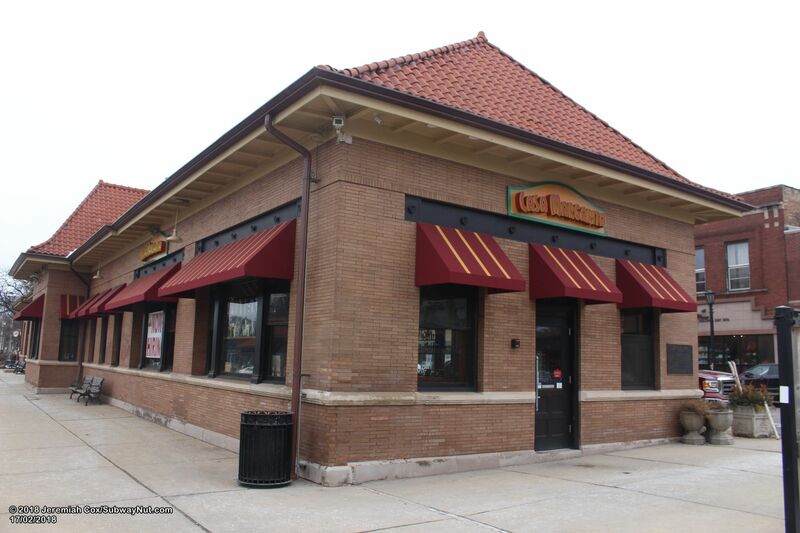 The other half of the large depot is now Casa Margarita, a Mexican Restaurant. 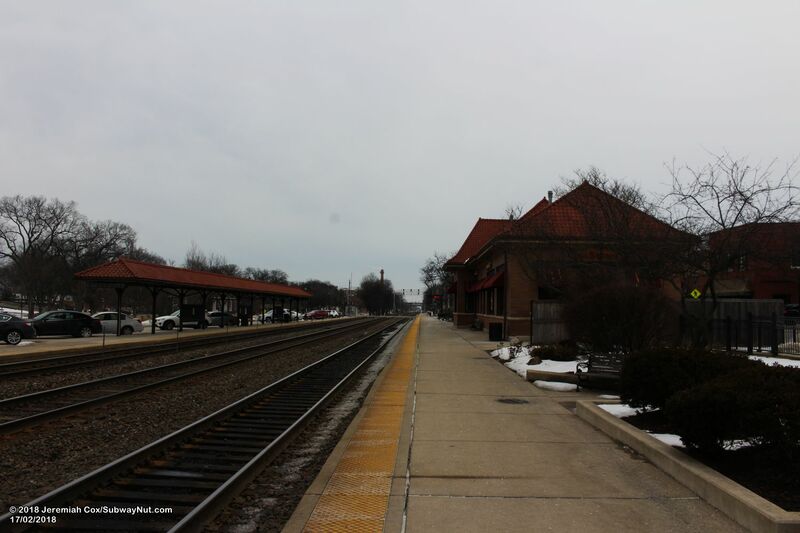 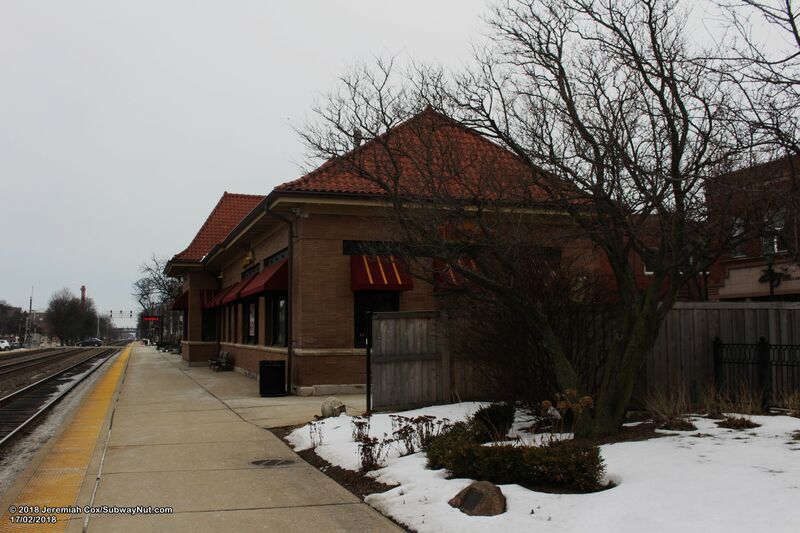 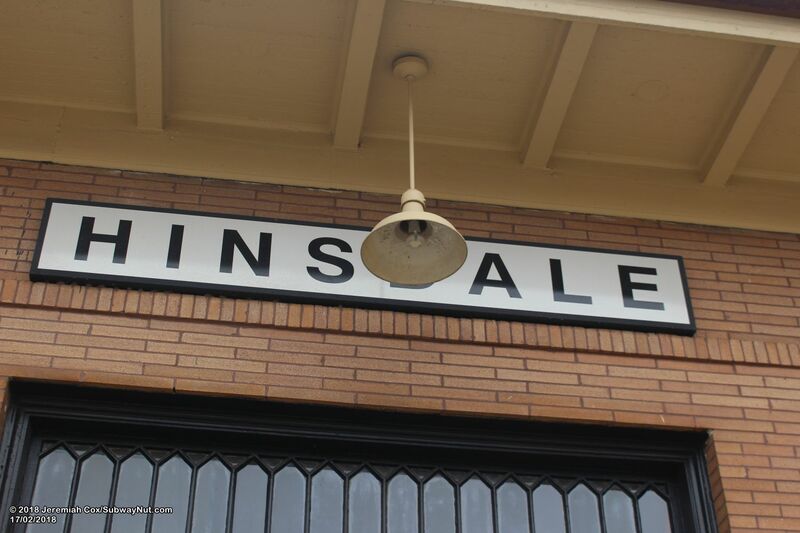 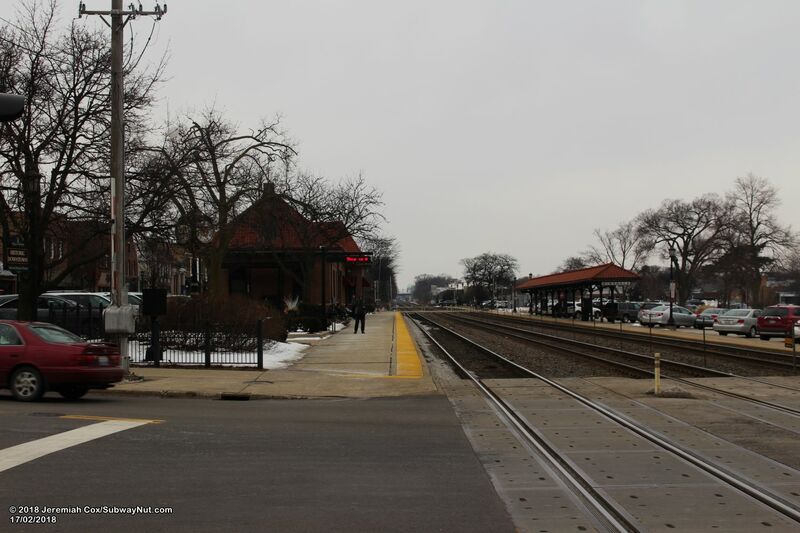 The station house is located between the platform and Hinsdale Avenue (which follows the rail line all the way down to the West Hinsdale Station). 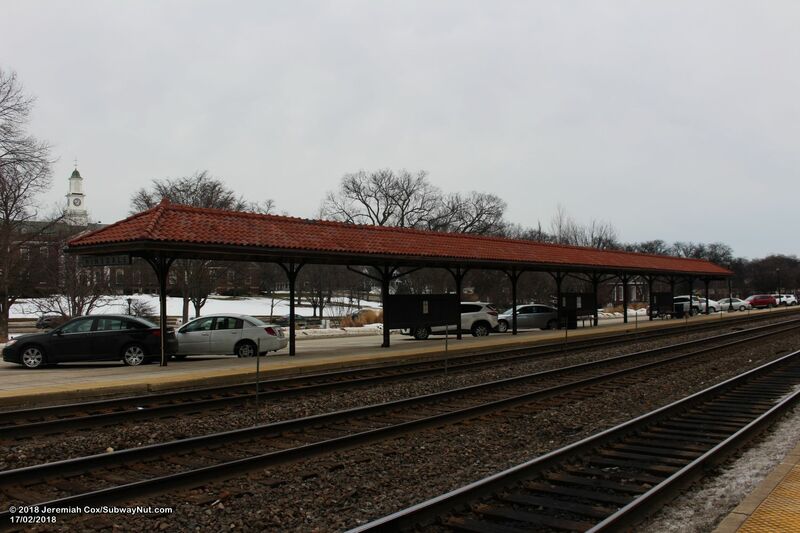 Across from the station house, the outbound platform has a long canopy structure with a Spanish-tile roof in the same style as the station house. 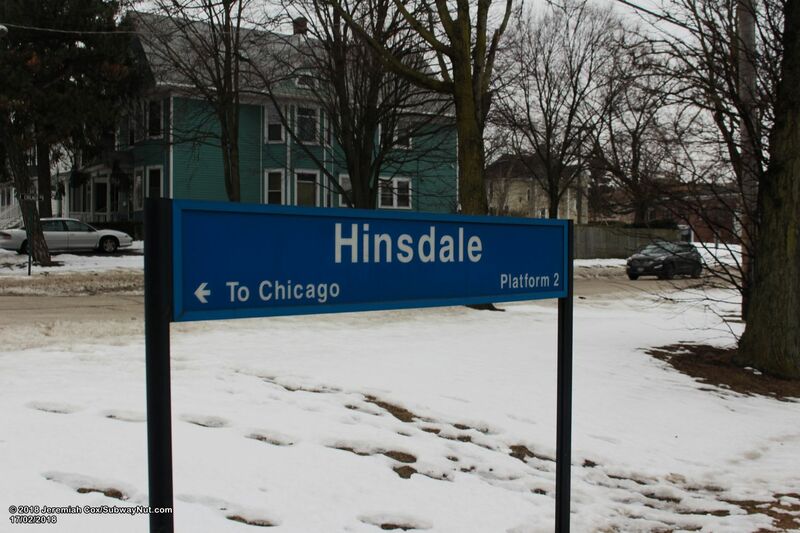 There are white with black text Hinsdale signs on the depot and canopy structure, plus the normal Metra station signs along both platforms. 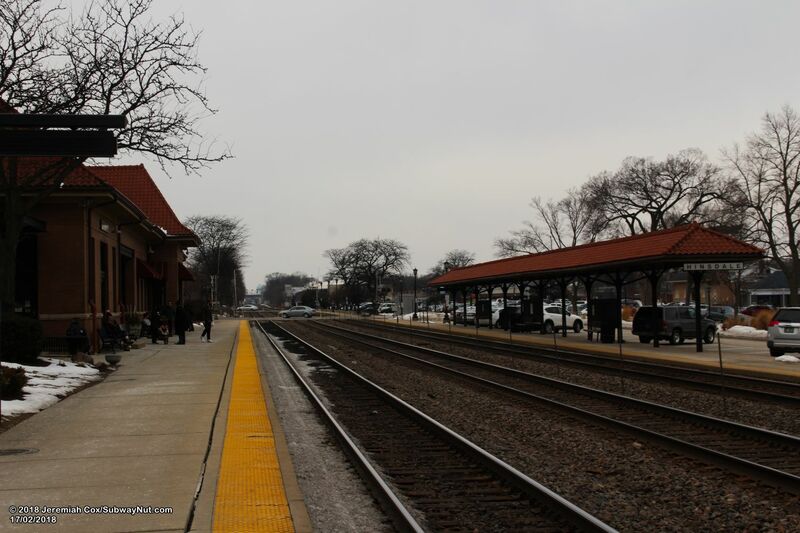 Approaching the Inbound platfrom from the west down Hinsdale Avenue.